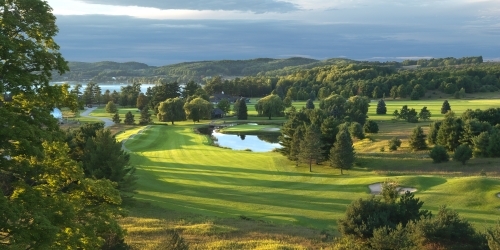 Boyne Mountain's Stay & Play golf packages are an ideal golf getaway when just 18 holes are all you need! Rates start at only $113 per person, per night and now include access to eleven courses in the BOYNE collection. Boyne Mountain's Stay & Play golf packages are designed for those individuals who want to enjoy a new golfing experience, and all that a summer's day at Boyne Mountain in northern Michigan has to offer including hiking, biking, paintball, kayaking, and more. Call to book your Stay & Play golf package today. When calling (855) 839-2272, please mention you saw this golf package on GolfTrips.com. Boyne Mountain Resort reserves the right to change price and offer at anytime. Prices and offer are subject to change without notice. GolfTrips.com is not responsible for errors posted in this golf package.